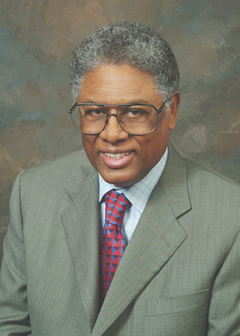 Thomas Sowell | Kingwood TEA Party, Inc.
Thomas Sowell addresses several arguments that have been on my mind. Progressive policies like minimum wage and welfare that have destroyed families, institutionalizing poverty and hopelessness among the minorities and socio-economic groups they pretend to care about. Mr. Thomas also voices the fact that Reagan’s economic policies were so pro-business that the economy grew, “rich” Americans were able to expand their businesses, hiring more so many employees that the economic gap between races and sociology-economic groups narrowed. Talk about inconvenient truths that our Marxist-socialist media refuse to report: the true consequences of artificially dictating minimum wages; the results of not allowing doctors and pharmaceutical companies to charge fees that allow them to offer their patients/customers quality care, drugs, testing, and services. We already see Yahoo, the AP, and other progressive mouthpieces all decrying unnecessary testing without discriminating between unnecessary CYA testing and life saving cancer screening that SAVES lives. Drug shortages are here. Our president and his union minions are supporting these faux AstroTurf sit-ins (with their expensive signs, T-shirts, and PAID protesters, most likely in order to promote unrest so that they can declare martial law. Times are dangerous indeed. It is time to stand up and be counted or it will be too late. Parents, if you want your children to enjoy the freedom of their heritage, it is time to join us now: join a TEA Party, 9-12 group, or other Constitution-loving conservative group today. fleeing from high tax rates at home. businesses are what create most of the new jobs. In Britain, where the “alternatives to incarceration” vogue has led to only 7 percent of convicted criminals being put behind bars, the annual cost of the prison system has been estimated at just under two billion pounds sterling. Meanwhile, the annual financial cost alone of crimes committed against the public has been an estimated sixty billion pounds sterling. In the United States, the cost of incarcerating a criminal has been estimated as being $10,000 a year less than the cost of turning him loose. In all these calculations we are leaving out the costs of violence, intimidation and the fears that people have for the safety of themselves and their children, not to mention the sense of helplessness and outrage when the society refuses to pay as much attention to innocent victims as they lavish on the criminals who victimize them. These deal with political etymological sleight of tongue. Translation: How politicians use words to mislead and confuse. Walter Williams joins in: Profit vs Non-profit. …because Government Money is Taken FROM the Economy! When you take money from the taxpayers and spend it to rescue the jobs of one set of workers– your union political supporters, in this case– what does that do to the demand for the jobs of other workers, whose products taxpayers would have bought with the money you took away from them? There is no net economic gain to the country from this, though there may well be political gains for the administration from having rescued their UAW supporters. CLICK HERE to read the entire article–well worth it, as always! As always, Mr. Sowell cuts to the heart of the matter.